Nugenix Ultimate vs. Nugenix Maxx pits the ultimate Nugenix formula against the maximum Nugenix formula …thus begging the question: Is there something more “ultimate” than “maximum”? Or put another way: Is there something less than “maximum” that’s still “ultimate”?? What’s going on here?? If it’s at all true that Nugenix Maxx is something greater than Nugenix Ultimate, then we’re in for a tasty testosterone treat here. Because Nugenix Ultimate is one of the best testosterone boosting supplements available. It was a favorite booster from 2017, and it seems to wish to hold that title in 2018. Unless Nugenix Maxx has what it takes to Cain the sh*t out of his brother. (That one’s for all Old Testament fans out there.) 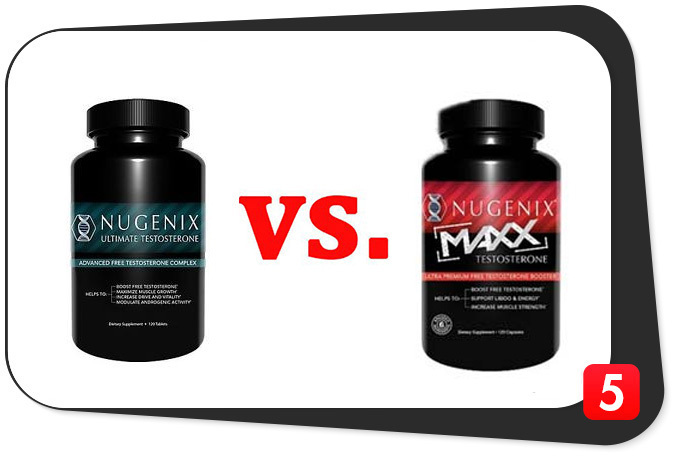 Let’s read the Nugenix Ultimate vs. Nugenix Maxx review to find out who’s the truly ultimate maximum testosterone booster of the two. Nugenix Ultimate and Nugenix Maxx supply some of the hardest hitting natural testosterone boosters available to mankind. And Nugenix Ultimate supplies arguably the hardest hitting natural testosterone booster — D-Aspartic Acid (DAA) — the number one booster on our BIG List of T-Boosters, whereas Nugenix Maxx, well …does not. But what Nugenix Maxx does provide looks pretty damn good. Potentially good enough to buy over Nugenix Ultimate, given that Nugenix Maxx does innovate the formula substantially. However, before we tackle their differences, let’s first see what these supplements have in common. How are Nugenix Ultimate and Nugenix Maxx formulas similar? Between Nugenix Ultimate and Nugenix Maxx, there’s only one point of overlap: Fenugreek. 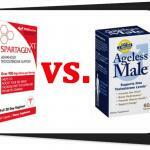 Both Nugenix formulas carry this free testosterone boosting herbal extract, standardized to a spicy 50% saponins. As far testosterone boosting goes, Fenugreek seems to work particularly well for the younger bodybuilding bros. While it’s no D-Aspartic Acid, it’s a solid addition to both stacks, providing substantial libido boosts to Nugenix Ultimate and Nugenix Maxx. How are Nugenix Ultimate and Nugenix Maxx formulas different? Okay, now take a look at everything other than Fenugreek, and there you go: That’s all that’s different between these formulas. 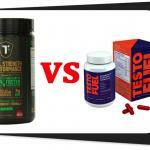 Had you scrubbed the names from these supplements, we wouldn’t have guessed them to be of the same supplement series. In the Nugenix Ultimate camp we see BIG boy DAA, in addition to other Best5 favorites Mucuna Pruriens and Boron. Whereas Nugenix Maxx carries the remaining Best5 favorite boosters Zinc and Vitamin D.
Based on the chosen herbal extracts and featured test boosts between these supplements, we’d rank Nugenix Ultimate more as a mature male test booster and Nugenix Maxx as a young athlete bodybuilder stack. Each with their own merits targeting significantly separate male audiences. Nugenix Ultimate targets more mature male oriented testosterone gains. Nugenix Ultimate does a fine job at boosting total testosterone levels as well as free testosterone, assuming a two-prong plan best suited for the man on the downward side of age-related testosterone decline. Some younger bodybuilding types may get a kick out this stack’s D-Aspartic Acid and Mucuna pruriens boosts, yet if we had to pick a target demographic for this booster: ye olden male. Nugenix Maxx pumps up the jam for the younger, bodybuilding dood. With Fenugreek as the leading testosterone booster in this stack, followed by several muscle enhancing herbs, Nugenix Maxx seems directed towards a less mature crowd. (Also indicated by the colorful, extreme-O “Maxx” label.) The inclusion of minerals and Rhodiola in particular reveal this formula to be an awesome athlete stack more for youthful enhancement than older male recovery. Having said that, in terms of straight up testosterone boosting, we place more trust in Nugenix Ultimate for stacking more straight-up testosterone boosters in its formula. 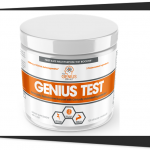 Given that the men who need reliable test boosts the most may better benefit by Nugenix Ultimate over Nugenix Maxx seems to indicate that the former is simply a better booster. Both Nugenix Ultimate and Nugenix Maxx have their merits. But if we were gambling men (some of us are), we’d place our bets on Nugenix Ultimate over Nugenix Maxx. Given that Nugenix Maxx has four more ingredients than Nugenix Ultimate, you’d expect the former to have thinner dosages sprinkled throughout its formula, right? Not so much. The highest dosed ingredient in Nugenix Maxx’s formula, Fenugreek at 600 mg, barely puts a dent in Nugenix Ultimate’s featured ingredient: D-Aspartic Acid at 3,000 mg. Which ranks as one of the heavier DAA doses on the 2018 testosterone boosting market. 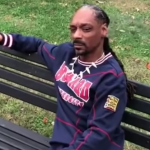 Yet, Nugenix Ultimate manages to follow this up with an impressive 700 mg Fenugreek extract, which …well, you can do the math: 700 mg is still more than 600 mg. And the remaining ingredients in both formulas still possess adequate dosage levels,. So, all around, Nugenix does a pretty awesome job in the dosages round for both Nugenix Ultimate and Nugenix Maxx. On average, both Nugenix products dose their ingredients well. Yet, Nugenix Ultimate packs a slightly heavier punch with its featured ingredient than Nugenix Maxx. Nugenix Ultimate supplies several potent herbal extracts and compounds. Whereas all of Nugenix Maxx’s formula is top notch, stacking high quality herbal extracts with impressive testosterone booster brands. And even the rare addition of Tribulus alatus over the more common, less effective Tribulus terrestris. Compared to where Nugenix was years ago, with its poor ingredient quality and proprietary blend madness (which makes a weird return in Nugenix Free), both Nugenix Ultimate and Nugenix Maxx look like solid improvements for the Nugenix brand. However, Nugenix Maxx looks even better with its premium grade ingredients across-the-board. Nugenix Ultimate showcases impressive ingredients, yet could use some improvements (e.g., swap out DAA for D-AA-CC). Nugenix Maxx, on the other hand, supplies one of the highest quality testosterone stacks we’ve seen in awhile. In terms of Nutrient Delivery, both Nugenix Ultimate and Nugenix Maxx do a well enough job at supplying high quality, highly potent ingredients with easy-to-absorb extract. Yet, Nugenix Maxx takes it to the next level with BioPerine Black Pepper Extract — an awesome nutrient absorption enhancer that, in tiny doses, can significant improve a formula’s bioavailability. What’s more, Nugenix Maxx also makes a turn to capsules over Nugenix Ultimate’s tablets. Generally, speaking caps are cleaner than tabs, involving fewer additives to work. And while Nugenix Maxx’s 120 capsules aren’t the cleanest caps we’ve seen, they’re definitely better than Nugenix Ultimate’s 120 additive filled and coated tablets. Not that the differences in nutrient delivery and label cleanliness are deal-breakers for either/or supplements here. But there’s a notably improvement from Ultimate to Maxx. Nugenix Maxx takes a slight edge on Nugenix Ultimate, most notably with its spicy BioPerine® black pepper extract addition. Yeah, let that table sink in for just a moment. 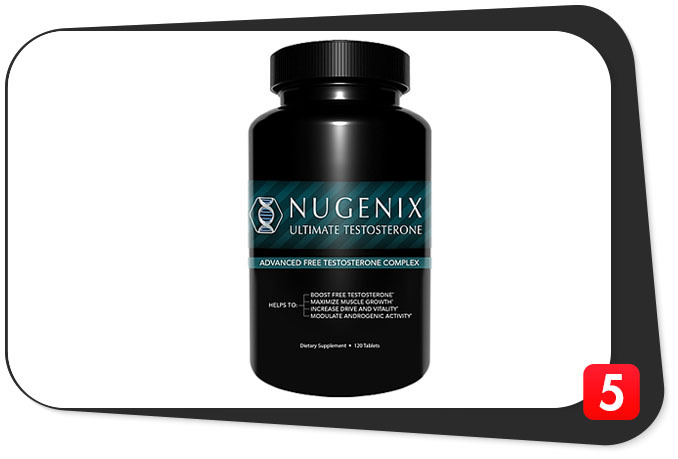 Nugenix Ultimate is one of the more expensive, albeit effective, testosterone boosters. Yet, Nugenix Maxx nearly doubles the price per serving of Nugenix Ultimate’s with that insane-O $169.99 price tag. Granted, Nugenix Maxx does invest more in premium testosterone booster brands. But it’s not like Nugenix Ultimate is lacking in the quality category either, so it’s hard to say what’s going on there with that massive price jump. Nugenix Ultimate is expensive but nowhere near as expensive as Nugenix Maxx, costing nearly half as much as its maxximum counterpart. Nugenix Ultimate vs. Nugenix Maxx: Which is Better? The conclusion to this review essentially depends on two factors: Age and Financial Status. Given that you’re likely to have more money as you age, it would seem that the more expensive testosterone booster here would target an older audience. However, that’s not at all the case between Nugenix Ultimate vs. Nugenix Maxx. The latter is significantly more expensive. And the former is expensive enough. Having said that, if you’re a younger dood with a little extra cash to spend …sure, what the hell, go for it. If you can buy, who the hell are we to tell you otherwise?